College is exciting and scary all at once. You have tons of freedom, but you’re also in a new environment surrounded by hundreds of complete strangers. Making friends can be a hassle, but there are many ways to meet people on and around campus. College friends are somewhat different than friends from high school, however, because you bond in different ways. You may bond during late night study sessions, being a part of the same club, doing a group project together, or even living together. During college there are a variety of ways to develop friendships, some of which have the potential of becoming lifelong friendships. Some students may choose to live with roommates. Sharing a house or an apartment allows you to spend time with people and really get to know who they are. Your roommate may have a few friends and that gives you the opportunity to get introduced to and hang out with some new people. By joining a club, you may be able to find people who share similar interests. SLCC offers a variety of clubs like those that are associated with academic majors, public interests, politics, music, or careers. 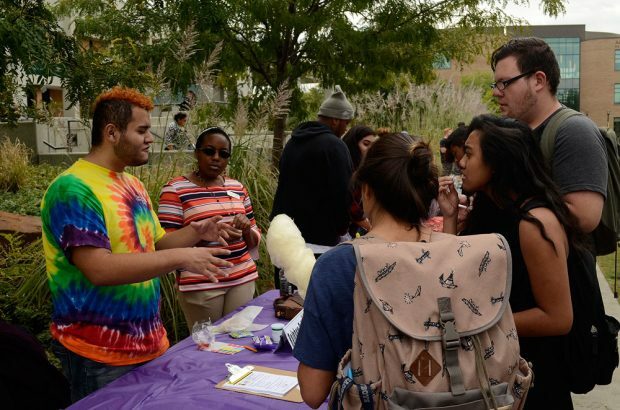 Clubs provide an opportunity to meet interesting people outside of the classroom, and the opportunity for you to get involved with something that you’re passionate about. You can’t make friends sitting behind your computer all day. Take a break from your homework and head to a game, a dance, a party or any campus event. There could be lots of potential friends at these events. Staying up to date with campus events can give you more to talk about with your fellow students. Sometimes sitting next to someone in class can be a little bit intimidating, but college is supposed to push you out of your comfort zone. Simply saying hi to the person next to you could spark a friendship. Also, if you see the person next to you is falling behind on an assignment or the lecture. Don’t be afraid to help. It’s a good way to start a conversation that could lead to meeting your BFF.